What If I need Help! 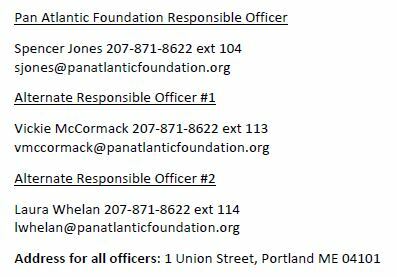 Third step – Always feel free to call Pan Atlantic Foundation support staff in Portland, Maine. Your Area Representative will provide you with personal contact information at the beginning of the program. If neither your host parents nor your Area Representative can help, contact the Pan Atlantic Foundation Support Team at 207-871-8622. Office hours are 9 a.m.-5 p.m. ET, Monday through Friday. Our staff also is available 24/7 for emergency support. Outside of business hours you can call the Emergency Line at 866-227-5335 and follow the prompts. The links below provide access to information you will need throughout your program. Please click on the Student Handbook, and the other links below, to access these important details anytime you need them! 1. Click here which will bring you to a search page. 2. Enter the name of your town. If nothing comes up in the search, use the bar below the town to increase the miles. 4. Then, search for the provider type, for example, "Urgent Care". TIP: The search defaults to search within 25 miles of the zip code entered. If you would like to expand or narrow this search, you can go back to the search page. 1. Make sure you have your itemized bill/prescription. Itemized means that it says the medicine or care you received, and the cost of each item. 2. Print, complete and sign the insurance claim form. 3. Mail or email the claim form within 60 days of the visit. 4. Keep all copies until reimbursement received.